Banker, Steve Distant, says borrowing wisely can help anyone to generate wealth. 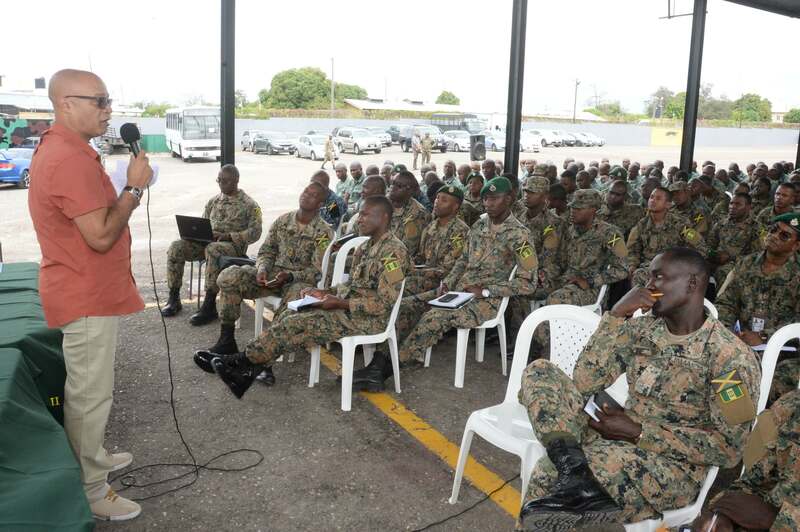 Mr Distant, who is JN Bank’s chief of sales, was addressing members of the Jamaica Defence Force at the JDF headquarters at Up Park Camp in St Andrew, recently. He said that although many people are often frightened by the idea of being indebted, it can redound positively,if it is strategically implemented. “Borrowing should never be done simply for consumption,” he warned.“You should always consider how you will earn or benefit from funds you borrow,” Mr Distant advised. Among the advice the banker highlighted, was borrowing to invest in stocks and bonds, pointing to the high performance of the Jamaica Stock Exchange (JSE). The JSE, for a second consecutive year, was named the best performing stock exchange in the world, according to Bloomberg, with its value climbing some 29 per cent in 2018. “You must be savvy! Sometimes you can borrow loans at a cheap rate. Therefore, consider how you can turnover those funds by investing in high yielding instruments, such as stocks and bonds,” he advised. “You can also repay that loan and earn from the yield on your investment,” he said, pointing to other equity investments, such as: mutual funds and fixed savings. These are investments where cheap loan funds could be placed to earn money. However, he said that, the cost and benefits must be weighed carefully, as investments, such as stocks and bonds, are riskier. Mr Distant added that borrowing is also a good way of maintaining savings and investments, noting that it is sometimes best to borrow than to dip into one’s savings. “Instead of using up that money, borrow against it; and let that money continue to earn more money. 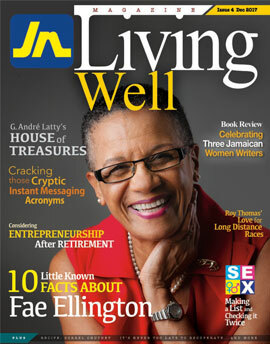 Therefore, you shouldn’t have to wipe out your savings, or earnings, to be able to acquire an asset,” he advised. The banker said that borrowing to invest in appreciating assets, such as real estate or a business, and for investment in education and training, are also positive ways to use a loan. “A good education will provide you with invaluable benefits; and a platform for your elevation, so that you can earn more and make smarter choices,” Mr Distant opined. “These are benefits you can’t discount. No knowledge is useless! The more you learn, the more you can increase your potential to earn,” he explained. Beyond consumer loans, Mr Distant also encouraged Jamaicans to make use of credit cards, pointing out that they can also assist you to build your financial base, if used responsibly. “A credit card helps you to establish a credit history, especially for those persons who have no history of borrowing. And, it assists you to build your discipline and debt management skills,” he advised. However, persons must pay their debt on time, to avoid the high interest rates associated with credit cards; and avoid using credit cards to purchase, consumable items, if you would not have bought it with cash in hand. “Credit cards are very beneficial,but, you need to use them wisely, to be able to acquire benefits, such as “cash back,” when you clear your credit card debt, before the month repayment is due,” he outlined. Providing advice on debt management, Mr Distant urged persons to carefully monitor their credit by keeping abreast of their credit reports; and increase their appetite for financial information, as well as, to seek counselling and advice, as necessary. “Borrowing is a good thing; and, if you get it right, you’ll become a better money manager,” he concluded.